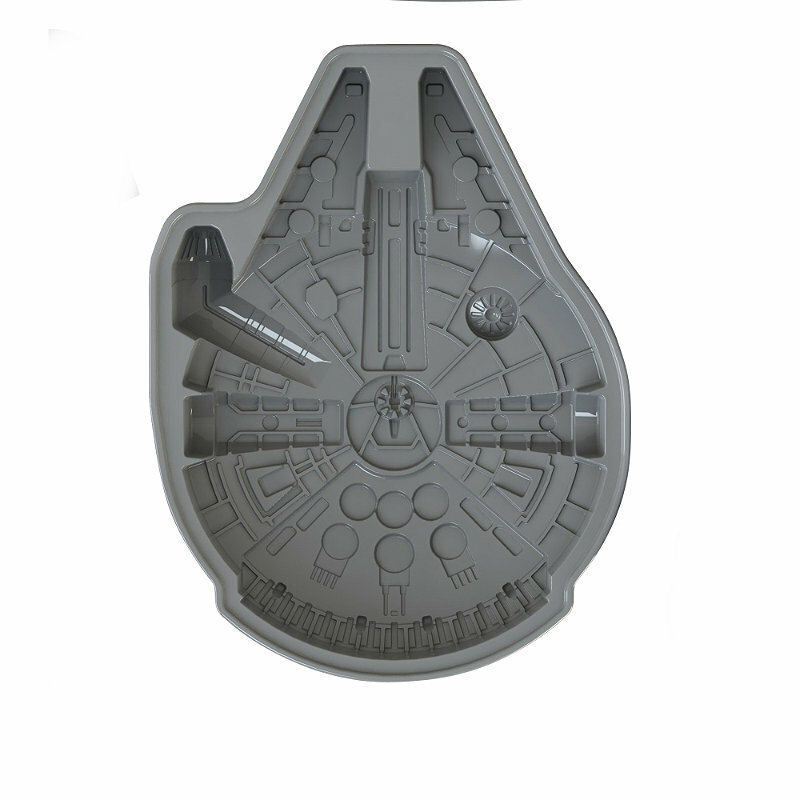 This Millennium Falcon Cake tin by Lakeland is a variation on the Kotobukiya ice trays. Quite a fun little item, i thought. The pan itself is 14″ long by 10 3/4″ wide by 2 1/2 tall and is £16.99. Delicious! This came today and it’s pretty cool and it brought a few chuckles in the office when it arrived. It’s different from the Koto ice cubes which is great. I must confess that i would have preferred a tin mold, but the silicone has a good plastic feel to it. Ugh, it’s 25 pounds to ship a 16 pound item to the US. It looks like the cookie cutters may be different from the ones we got from Williams Sonoma a while ago. I hope a US distributor shows up on the scene soon! Yea, I might pick up a cookie cutter and a set of the ice cube shapes too. Let me know if you want me to pick one up for you. I can ship it with the magazines. Let me look into whether or not I can find one locally. It would be great for the meeting this weekend! Ok, we’ll let me know and I’ll order one for you and put it in the next shipment. 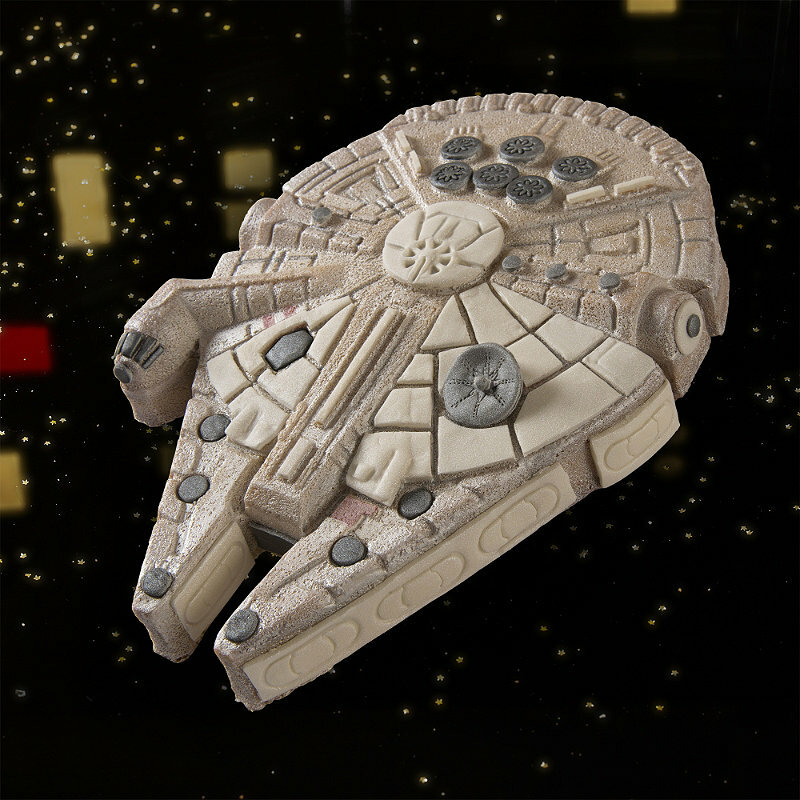 Make your own Falcon Cakes! Here’s an item I could talk my wife into getting me for my June birthday! $25 (apx.) for it is worthwhile but the extra $35 (apx.) shipping makes me a little hesitant for a “once a year” purchase. If anybody finds one in the states for cheaper shipping- PLEASE let me know!!!! If Mike finds anything i will get back to you.